I was at a Dussehra Puja Pandal celebrating the beautiful martial Goddess Durga last week. It was filled with excited Bengalis and curious non-Bhadralok who eventually jostled together at the food stalls to tuck into plates of Luchi-Cholar Dal, Bhetki fish cutlets and stir fried banana flower. The growing number of Pandals each year point to a significant Bengali population in the city and many believe that the influx is a recent phenomena. But contrary to popular belief, the relationship between significant Bengalis and Bengaluru goes back to the late 19th century, when philosopher-writer and nationalist Bipin Chandra Pal recorded Brahmo Samaj leader Keshub Chandra Sen (b.1838-d.1884) being (as he put it), the `first educated Bengalee to visit Madras’ and our city in the 1860’s. He also mentioned Pandit Sivanath Sastri who toured the Madras Presidency around 1879-1880 and the charismatic Bhai Amritlal Bose who influenced a `Kanarese’ military regiment in the Cantonment to establish a Brahmo congregation here. Bipin Chandra himself arrived here on a `fine and sunny morning’ in September, 1881. It was a long journey from Kolkata to Mumbai via Allahabad, then Madras and finally to Bengaluru on the overnight Bangalore Mail. He had been recently appointed principal at the Rai Bahadur Arcot Narayanswamy Mudaliar High School (RBANMS) in Ulsoor. The position had materialised through an association between Pandit Sivanath Sastri and Mr. Gopalaswamy Iyer, principal of the military run Regimental School. It was at the behest of the noted Mudaliar philanthropist-businessman who was anxious to provide students with a quality education in the vernacular language, built on strong moral influences. A language translator was assigned to Bipin Chandra to help him communicate with his new environment and he was initially housed at the home of the Regimental School Head Clerk near the Regimental Quarters. He recalls his first morning in Bengaluru where he woke to the sound of a voice shouting “Pal-O, Pal-O” outside his window at dawn. He believed the cry to be for him but was surprised by this familiarity.It was only later that he learnt it was a milkmaid shouting “Palu”, the local word for milk! Some decades after Bipin Chandra described his two year stay in Bengaluru as a `tender and inspiring experience’, a distinguished Bengali named Sir Albion Banerjee became the Dewan of princely Mysore and served the state from 1922 to 1926. 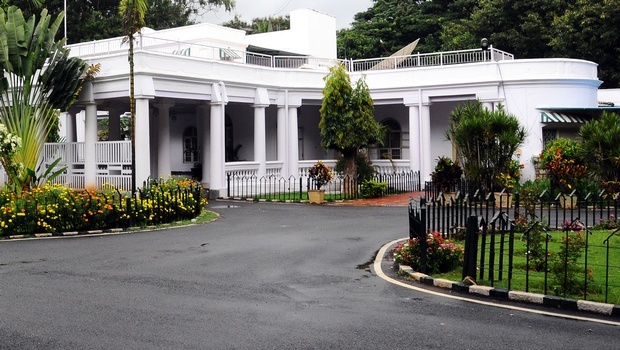 The significant Cauvery Accord apportioning river water was signed in 1924 by this erudite civil servant during his term in office and he lived at the now much publicised `Balabrooie’, a graceful colonial building on Palace Road. This state guesthouse is rumoured to have been built by the Persian Aga Ali Asker.The building bears his signature style, also seen at Leela Nivas, a private residence he built off Cunningham Road. Balabrooie was also where Nobel Laureate Rabindranath Tagore stayed for three weeks in 1928. Tagore had visited Bengaluru several times before; first in January and March 1919 and then in 1922 to lecture at the Mythic Society. His 1928 visit was to recuperate from ill health. I’ve always maintained that when the traffic snarls, crowded city streets and shop shutters disappear for the night, Bengaluru remains one of the most romantic cities in India. Perhaps Tagore thought so too! It is said that he was inspired to burn much midnight oil as he wrote furiously to complete his work `Yogayog’ and the well-known `Shesher Kabita’ when staying here. It was first read out at Balabrooie to the eminent founder of the Indian Statistical Institute, Professor Prasanta Chandra Mahalanobois and his wife, by Gurudev himself. I would like to imagine them sitting there in the morning, listening to the love story of Amit Ray under those magnificent rain trees in the garden. If this doesn’t make Balabrooie’s preservation critical to city history, then I don’t know what does. 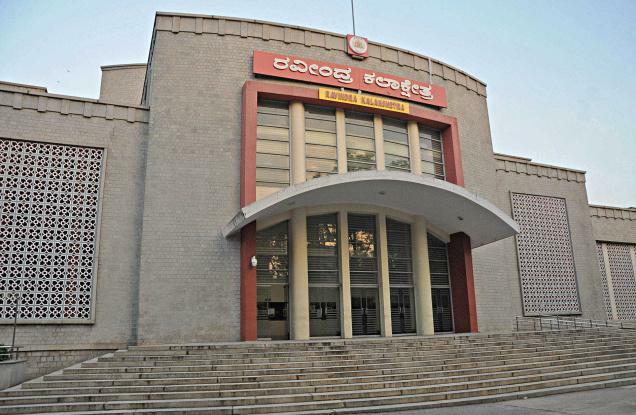 Tagore’s presence in Bengaluru lingered on in the naming of RT Nagar and the Ravindra Kalakshetra auditorium that was built to commemorate his centenary in 1963. But the 1928 visit of this famous guest was upon the invitation of another Bengali philosopher-intellectual, Sir Brajendra Nath Seal (b.1864-d.1938). As the second Vice-Chancellor of our very own University of Mysore from 1921-1930, this intellectual with a prophet like visage is said to have exerted considerable influence on the noted litterateur Sri BM Srikantaiah to develop the Department of Kannada. Acharya Sir Brijendra Nath Seal was also Vice-President of the Mythic Society, Bengaluru and a tireless public speaker on the subjects of civil liberty, the fundamental rights of the individual and a common Indian nationality. In a December 1935 message he says “My last days are embittered by one thought;the wrangling of those who as the children of India should be bound by ties of brotherhood and friendship…all that is merely sectarian and communal must yield to the spirit of a common nationality…” His words were relevant then and more so in current times. Our cities must be seen as the home of not just their local populations, but every Indian from across the country who has nurtured and influenced them over the centuries. This story was originally published in the Bangalore Mirror on October 26th 2015.Read it here. Hi. I am Mishta’s cousin living in Delhi. Your article was beautiful and very enlighting! I am a proud Bengali and thank you for writing the above article which made me more proud! Wish the very best always! I’ve always enjoyed reading Aliyeh Rizvi’s columns in the Bangalore Mirror. They not only make enjoyable and meaningful reading, but also underscore the relevance of bringing the past into the present in more ways than one! Her latest piece, Discovering Bengal in our Uru is a case in point. Apart from providing me with new insights about the relationship between Bengal and Bengalooru, I discovered (thanks to her column) little known details of my great grandfather’s sojourn to this city as early as the 1860s. Thanks Aliyeh, for giving me yet another reason to feel at home in this city. More power to your pen and research! Best. Ashish Sen.
Balabrooie was funded by Cubbon’s sister..Elizebeth Cubbon,similarily she funded for Mysore Cottage in Manx,Isle of Mann,birth place of Mark Cubbon,Chief Commissioner Mysore from 1834 to 1861.